The Trump administration wants more food stamp recipients to work for their benefits. The Agriculture Department will seek comments on how to get more able-bodied adults who don't have dependent children into the workforce, agency officials announced Thursday. "This is a population that we do think we can help move to self-sufficiency with the right focus," said Brandon Lipps, the agency's Food and Nutrition Service administrator. Thursday's announcement is the latest in a series of steps that the Trump administration is taking to impose work requirements on various safety net programs. Last month, the Department of Health and Human Services took a historic step by allowing states to mandate that non-disabled, working age adults have jobs, train for employment or participate in community activities to qualify for Medicaid. The Agriculture Department said in December that it would work with states to "promote self-sufficiency" and give them greater local control over the Supplemental Nutrition Assistance Program, or SNAP, the formal name for food stamps. The food stamp program already requires childless adults to work. Adults without minor children can only receive benefits for three months out of every 36-month period unless they are working or participating in training programs 20 hours a week. However, states can waive that requirement for areas where unemployment is at least 10% or there is an insufficient number of jobs, as defined by the Department of Labor. In its fiscal 2019 budget released earlier this month, the Trump administration proposed eliminating certain exemptions and limiting the use of waivers that "rob too many able-bodied adults from the dignity of work." The budget proposal calls for limiting the waivers to areas where unemployment is at least 10% over 12 months. "Too many states have asked to waive work requirements, abdicating their responsibility to move participants to self-sufficiency," Agriculture Secretary Sonny Perdue said Thursday. 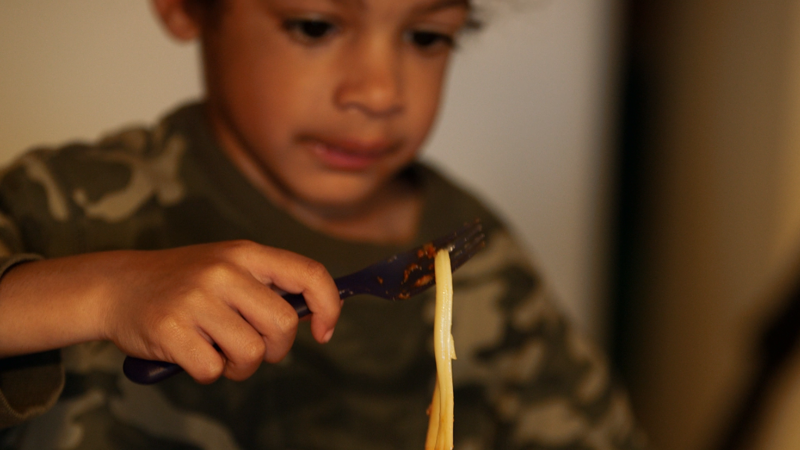 "Past decisions may have been the easy short-term choice, but USDA policies must change if they contribute to a long-term failure for many SNAP participants and their families." About one-third of the country typically lives in an area that waives the work requirement, according to the left-leaning Center on Budget and Policy Priorities. Under the Trump budget, only 1.3% of the nation would, according to the center's analysis of a similar proposal last year.